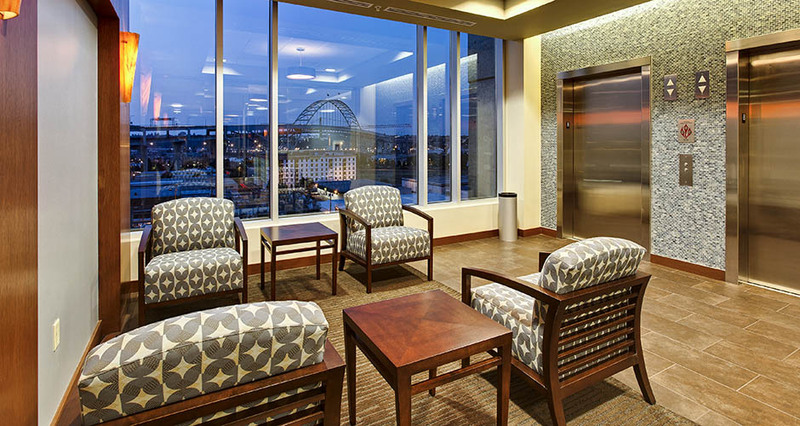 Indian Health Services, in a project administered by the General Services Administration (GSA), selected Mackenzie to update the look and feel of their offices as they moved into a new space—the eighth floor of the MachineWorks Building in Portland’s Pearl District. 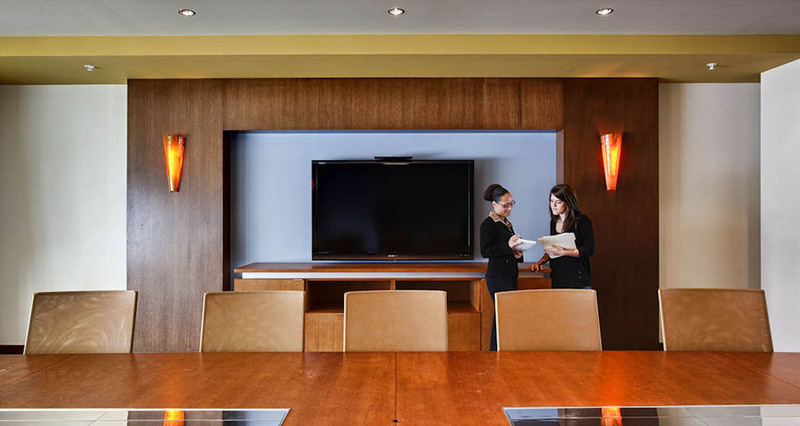 The design transitioned the organization from a closed office environment to primarily open office. Our team was able to effectively collaborate with GSA, Indian Health Services, and other stakeholders to reinvigorate the organization’s aesthetics. The client’s branding goal was realized with the use of bright colors and wood furniture and accents while maximizing natural light and views of the city below. 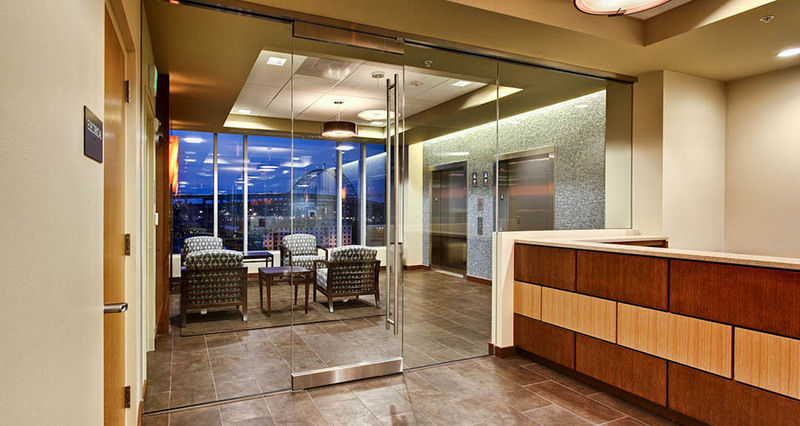 The design gave Indian Health Services a modern, vibrant office environment. The project included low-VOC paints in a number of fresh colors, new furniture, ceramic tile flooring, and ceiling soffits. 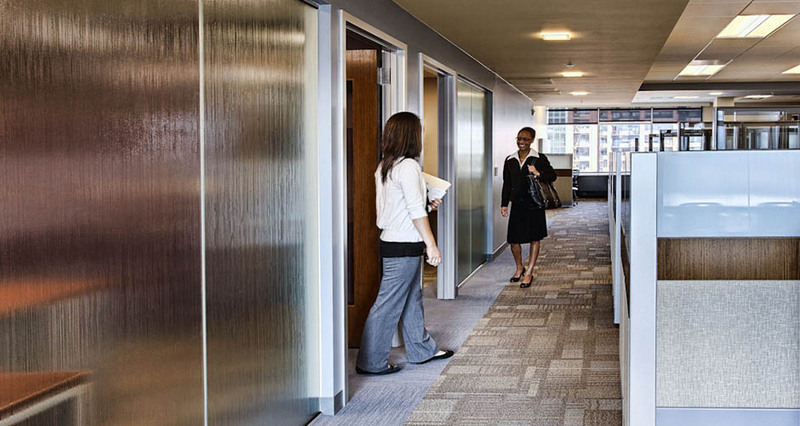 Private offices and conference rooms ring the perimeter of the open office layout. To maximize natural lighting, specialty glass walls divide closed offices from the interior of the space. Details included glass-tile mosaics, art glass features, and light, bright ceilings. The project was fast-tracked, and the team was able to produce high-quality work efficiently and within budget.